With more than 50 participants from all over Europe and neighbouring countries, AECM’s latest operational training session (OTS) on “Innovations in Credit Guarantee Schemes: A Way to Success” took place in Zagreb / Croatia from 15 to 16 October 2015. 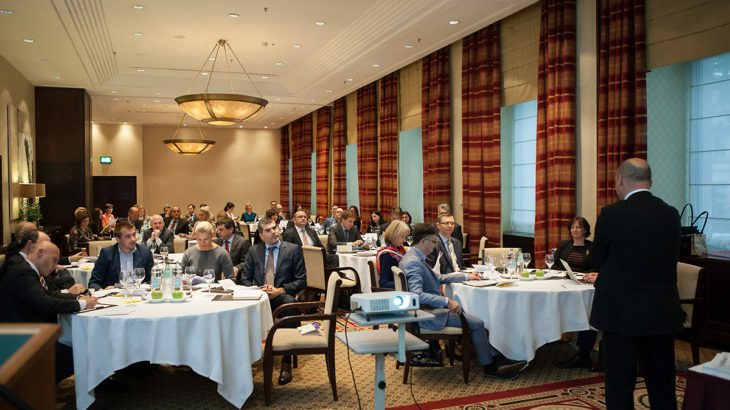 The fruitful discussions focused on innovative processes and products partly in place, partly envisaged providing all speakers and participants with valuable new insights. A big thank you to the hosts, Darko Liovič, Boris Guina, Goran Becker and Iva Špoljar who helped us organize yet another successful OTS in the remarkable frame of the Hotel Esplanade, a historic hotel built for the Orient Express travellers of the past two centuries.